Yes, it's a trend. In eastern Pennsylvania, many of the largest polluters are closing. See the charts here. Trash incinerators are closing too. 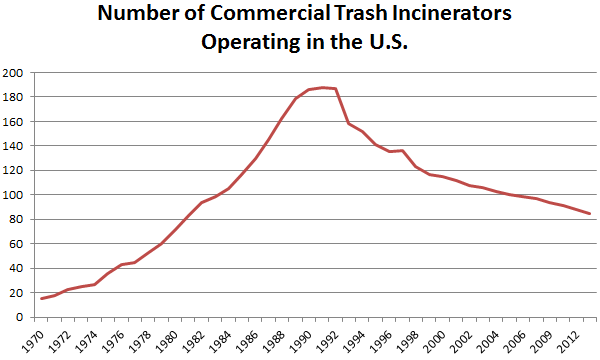 At the turn of the century, there were 118 trash incinerators in the U.S. In 1991, there were 188. Now, there are 85, and only 80 if you count just the type that produce energy and not the teensy ones that don't.